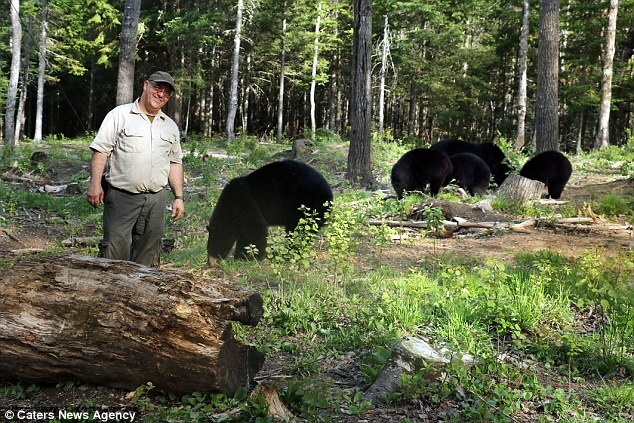 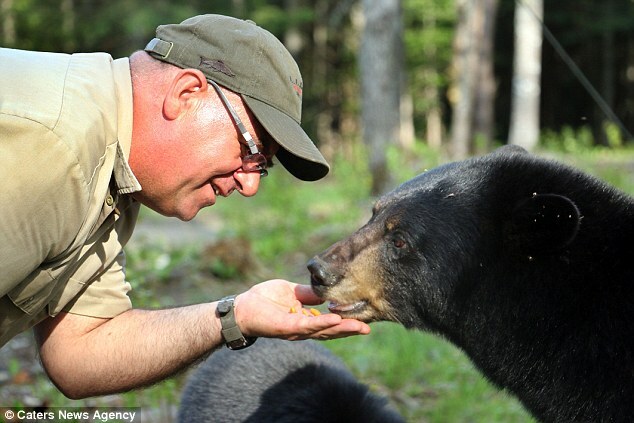 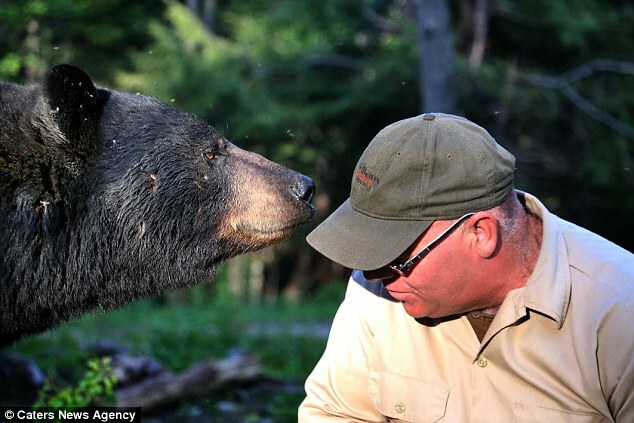 His bond with them is so intense that he is widely known as 'The Bear Whisperer', getting close enough to feed the wild animals out of the palm of his hand. 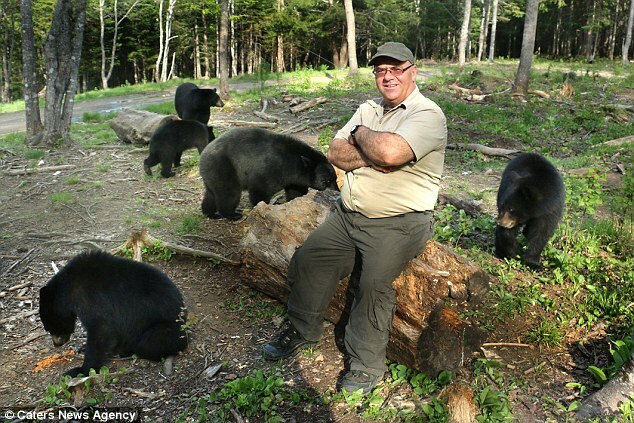 Richard says his unique connection with the bears goes back to when he was a small boy and a fearsome black bear approached him while he was playing a game of 'hide and seek'. 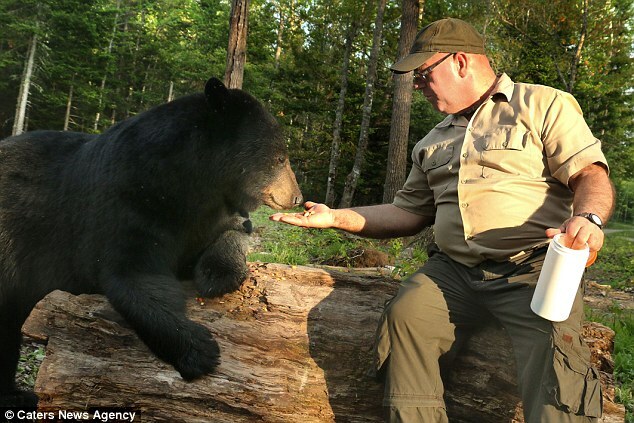 Responses to " Canadian Man Has Formed A Unique Bond With Black Bears"